The Mister and I love cluttered country antique shops and thrift stores, and we got lost several times in Vermont looking for them. After a few wrong turns in tiny town, we spotted a sign for a covered bridge. I’d never seen one before, so the Mister kept driving until we found it. He insisted on driving through it, and afterwards we pulled over for a few minutes to take photos, admire the storm clouds gathered around the mountains, and talk about how much we loved Clint Eastwood and Meryl Streep. 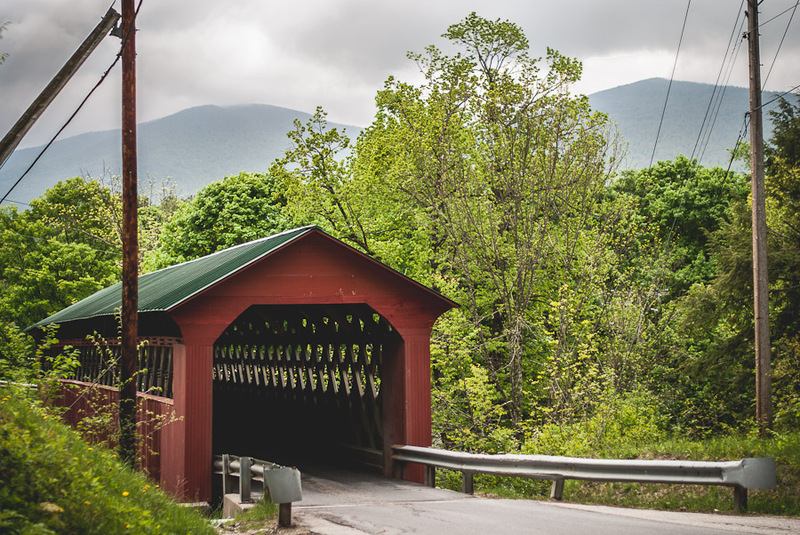 All told, we saw seven covered bridges while we were in Vermont, though none were quite as charming as the first. This reminds me of home. 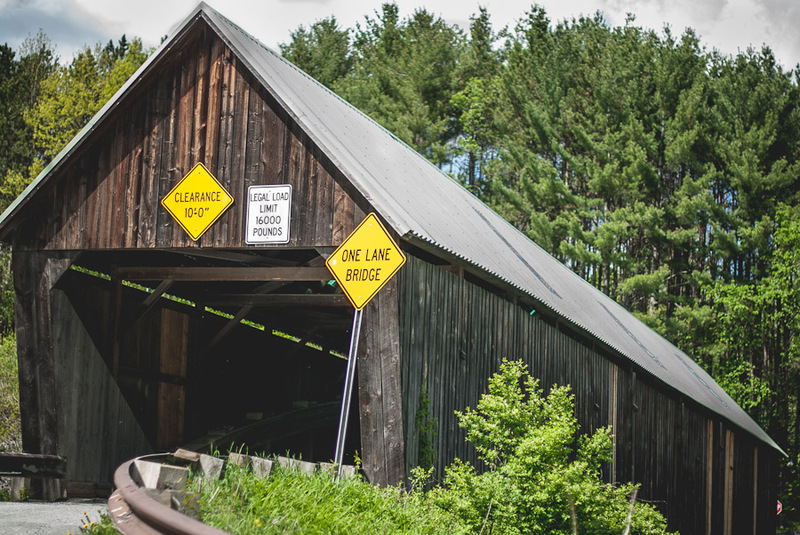 We have many old covered bridges still in operation in Central PA.